Therefore, let us take a look atthe ways in which GST impacts the working capital for SMEs. 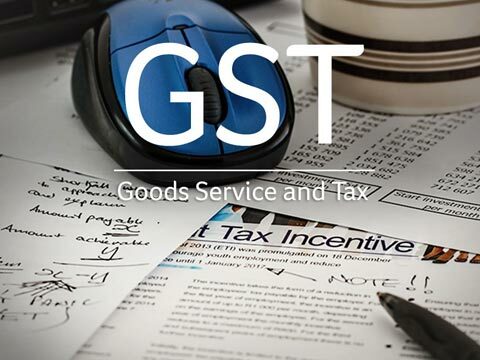 You will begin to understand how you can use GST to your advantage. Under the current regime, input tax credit is available only on inputs which are used or linked to your taxable output. For example, as a trader, input VAT paid on purchase of goods will be available as credit only on making a taxable sale. However, any tax paid on business overheads is not allowed as credit. For example, service tax paid by a trader on advertising services for business purposesis not allowed as credit, and should be treated as business expenses. In GST, the concept of input tax credit is broadened to include any input or services “used or intended to be used in the course of or forfurtherance of business. Therefore, businesses will be allowed to claim input tax credit on all such inputs and input services. In the example used above, a trader can claim credit for tax paid on advertising services. This concept of “furtherance of business” will reduce your cost of operation, and directly increase the net margins of your business,thereby, strengthening your working capital. · You have already paid your supplier. · Since ITC claim is reversed, you have to pay the tax along with interest. As a result, due care has to be taken with regard to ‘Advance Clause’in contracts. Please take help in structuring contracts. If invoices can be raised based on percentage completion methods, they should be evaluated. Under Central Excise, a registered manufacturer making a stock transfer of excisable goods, should payexcise duty on 100% +10 % of cost of production, and under VAT, on furnishing Form F, stock transfers are not taxable. Due to tax instances, the need for additional working capital arises and it will be a challenge for SMEs who operate with thin working capital.Examining the need for branches, effective planning of branches, and leveraging of cross branch transfers can reduce the impact on working capital. Also, a clear understanding of the kinds of taxes you need to pay whether IGST(which is inter operable) against a CGST and an SGST will help. Currently under Service Tax, registration is centralized and it is PAN India. As a result, the input service tax availed on input services procured across the nation can be utilized to set off the Service Tax liability without any restriction. Under GST, registrations are state-wise. A service provider has to register in a state in which he makes outward supply of services. There is restriction to setoff CGST + SGST of a state with another state. This may create a situation where input tax credit is held at a branch and cannot be utilized to set-off the tax liabilities of another branch in a different state. This will have an impact on the cash outflow of the business. Though the concept ofInput Service Distributor (ISD) is available under GST, it will not be helpful in the above situation. Secondly, with the finalization of the tax rate structure of 5%, 12%, 18% and 28%, and if services are included under the 18% tax bracket, service will be expensive by 3% compared to 15% of Service Tax underthe current regime. Due to this additional increase in outflow, the need to increase the working capital will arise. Under GST, the benefit of inverted duty structure allows for better cash flow. In GST, businesses are allowed to claim the unutilized input tax credit accumulated due to inverted duty structure. This is a major relief to businesses, coupled with a simplified process of refund claim, and fast processing of refund - 90% of refund claim will be disbursed on provisional basis and 10 % after verification. · You may be currently engaged in the manufacture and sale of exempted goods or provision of exempted service. On transition to GST, these goods or services may be taxable. · You may be an unregistered manufacturer as your aggregate clearance value is below 1.5 crores. Under GST, you may become liable to register based on a threshold limit of Rs 10 lakhs for Special Category States (Arunachal Pradesh, Assam, Jammu and Kashmir, Manipur, Meghalaya, Mizoram, Nagaland, Sikkim, Tripura, Himachal Pradesh and Uttarakhand) and Rs 20 Lakhs for the rest of India. · You may be trader paying excise duty. This is not currently available for input credit. · Ensure that all purchases made against Rule 11 or tax invoice are accounted for in your books. · Ensure that debit notes/credit notes are settled in order to ascertain the correct carry forward of balance.